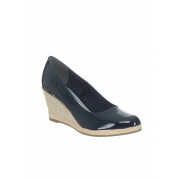 Create a nautical style by teaming these gorgeous navy wedges with navy tapered trousers and a red and white striped top. 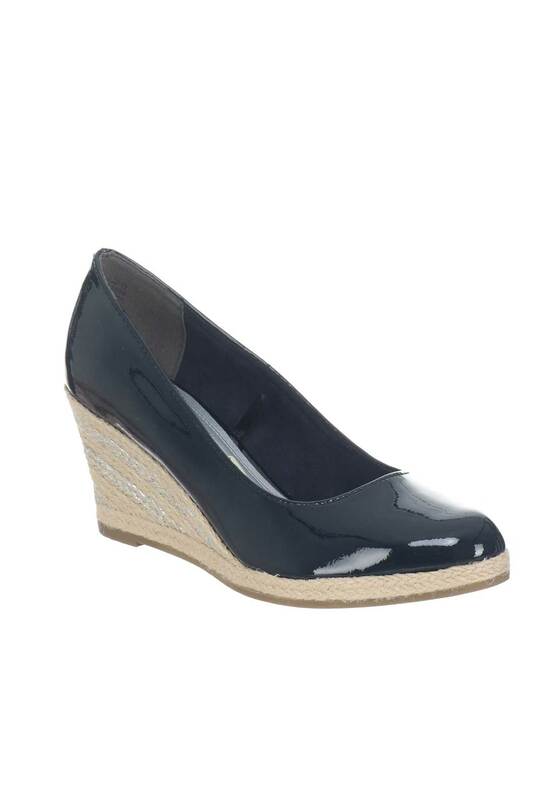 This pretty patent pair have a silver metallic finish in the woven espadrille wedged heel and are have a cushioned insole. Materials: Upper- Other Materials. Lining and Sock- Textile and Other Materials. Sole- Other Materials.